If your Shift Window gets stuck on a blank, either white or grey, screen and restarting the app seems to have no effect, deleting the local application data resolves this issue. Quit shift from the task tray Shift icon by right-clicking on it. 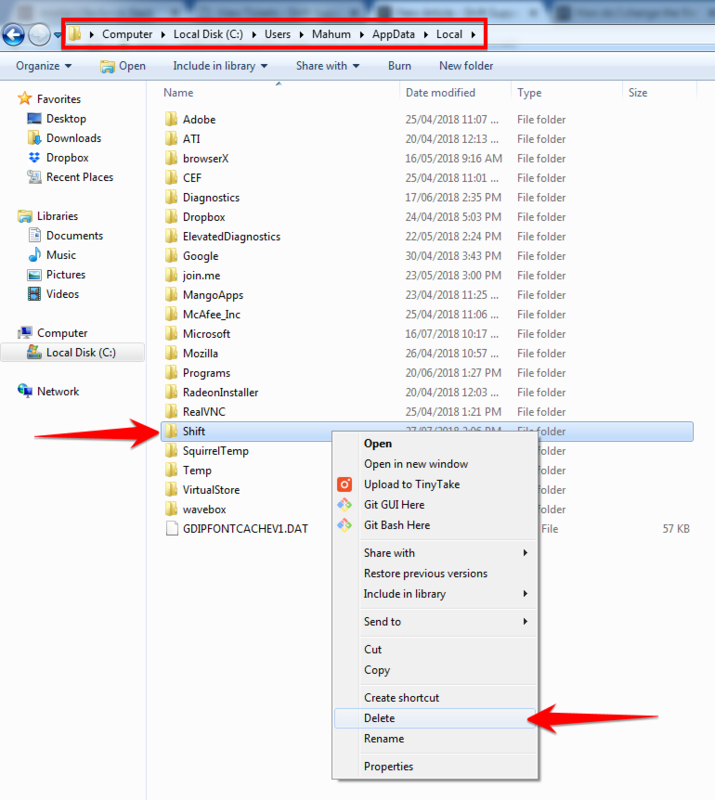 In the Local folder, find the Shift folder and delete it. Re-launch Shift and log in with your Primary Shift email account. Hold down the 'Option' button and choose the 'Go' menu item in Finder. Find the Shift folder and delete it. Note: Deleting the app data does not remove the Shift app from your computer so you do not need to install Shift again from the website.